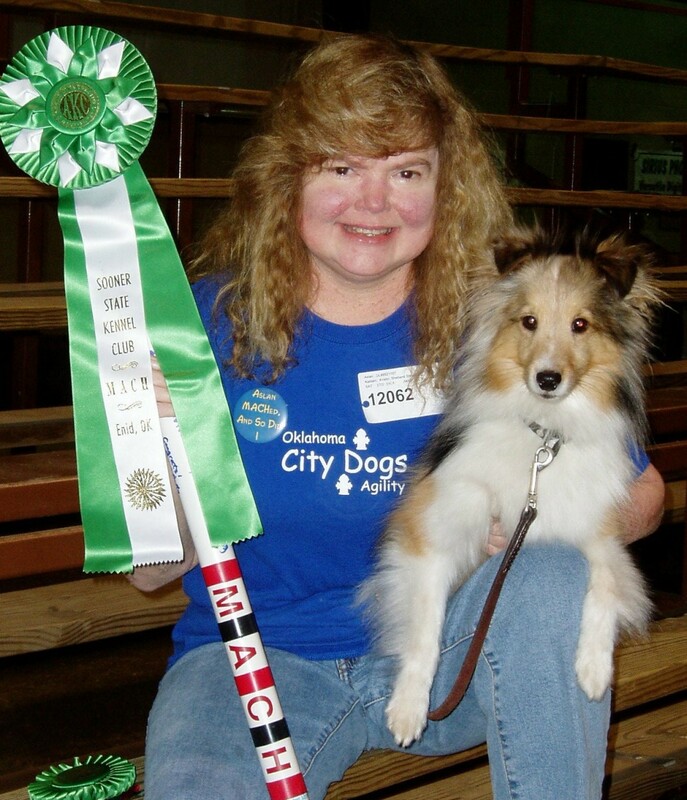 The author and her sheltie earning their agility championship in 2014 by employing both distance and tight skills. Is It All About the Athlete? As you flip though the TV channels with your remote, you come across an interesting sporting event involving dogs, people and strange looking obstacles. Different breeds and mixes of dogs are whipping through, under and over the obstacles at a break-neck speed. Captivated, you are unaware that you have lowered your remote. You watch transfixed as dog after dog runs through the obstacle course with their handlers. You look down at your small terrier mix sleeping peacefully at your feet and wonder, "Could I do this with my dog?" Watching further, you realize the handlers are running - and running fast. They are running full speed, stopping suddenly, twisting and then running off in a new direction. Saddened, you reach down to pat your dog's furry side. This new sport called dog agility sure looks fun, but it's obviously only for the physically capable. Once again, you've run up against the walls of your physical limitations, and you're left on the outside looking in. It's an unfortunate misconception that agility can only be performed by human and canine athletes. The most common thing I hear from people who don't know the sport well is, "I'm too (old, slow, fat, achy, out of shape, injured, etc.) 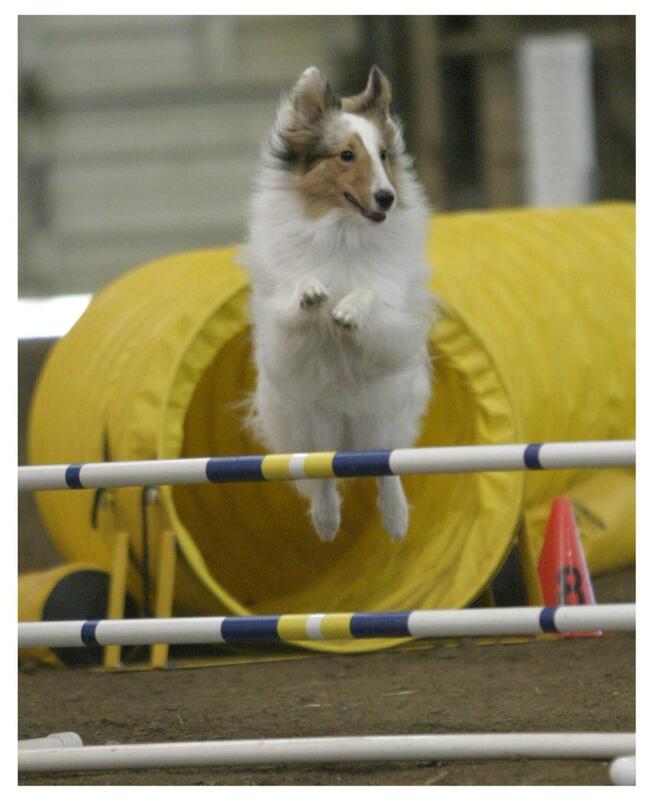 to run agility." The simple fact is agility is done successfully by handlers in wheelchairs, on crutches, with artificial legs, with no arms, with arthritis, with hidden disabilities and more. Being able to run is not a requirement in agility. Being physically limited does mean you have to train and handle your dog differently than other, more athletic people, but it does not in any way, shape or form mean agility is something you cannot do. I'm one of those whose physical limitations keep me from running full out when doing agility. A long story short, I went into kidney failure at 13-years-old in 1976. Nine months later, I received my first kidney transplant. Thirty-one years later in 2008, it failed the very weekend I received my second kidney transplant. In the ensuing years, I've also developed a host of other issues including steroid induced diabetes, glaucoma, hypothyroidism, many skin cancers, arthritis, torn carotid arteries, and more. I'm listing my ailments to show that you are not alone. Your ailment list may look drastically different than mine. Like many other agility competitors, your list of health issues is probably more physically limiting than mine is. I am in awe at the agility handlers I see facing outrageous physical obstacles, and yet they go out on the agility course and "run" with great success and joy. It's true. They run nothing like the teams you'll see on television. In my opinion, they are much more impressive. Hidden handicaps exist throughout our sport as well. I remember years ago watching one team with a beautiful, apparently physically strong handler. I very much envied her physical abilities as a handler, so wishing I could run with that ease. As I got to know her, I discovered she was battling metastasized breast cancer. It was an eye opener for me as I realized I was not alone. 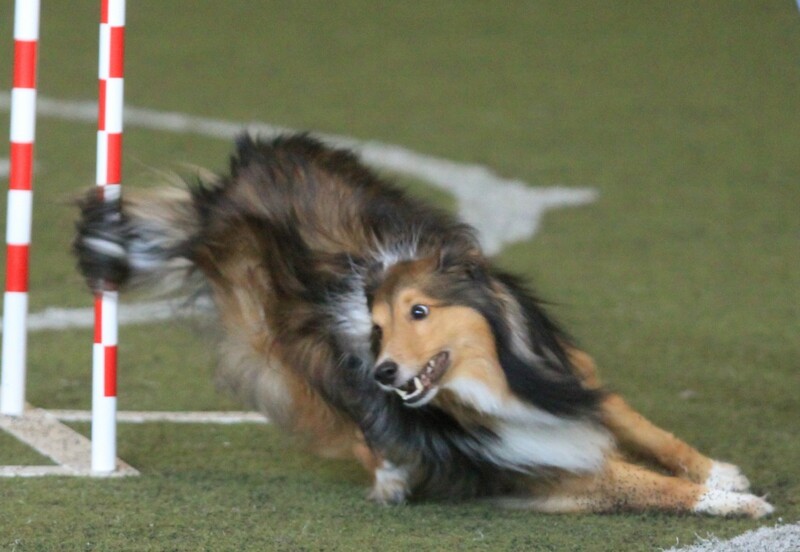 Almost all local agility competitors are competing against something other than the agility course set for that day. They are competing against less than perfect bodies, and they are struggling just like me to show and train their dogs. They are doing it successfully. And, so can you. Depending on each individual's physical limitation, different handling and training strategies will need to be employed. I always begin training my puppies with the full knowledge of what that dog will need to learn to help our team overcome my physical limitations. I know I cannot run long or fast. It's strange to me still, but my body just doesn't move when my brain tells it to do so. I'm creaky, stiff, sore and slow. Knowing I can only do a sort of odd, slow trotting run, I begin my puppy's training focusing not just on tight work where the puppy is learning to read my handling cues close up, but I also teach my puppy how to read my handling cues at a distance. Once the puppy learns how to do this, I don't have to run with him. I can direct him from a distance, and at the times when I can be right by him on a course, I can direct him very close up as well. Having the option of handling at distance and close proximity keeps me from having to run to each obstacle with my dog like the athletic handlers can. Each physically limited handler I have seen has successfully adapted their own individual handling and training styles to help their dog overcome that limitation. Whether it be teaching the dog to read shoulders more effectively due to limited arm movement or distance skills incorporated due to limited mobility issues, handlers can train their dogs to take over where the handlers' disabilities leave off. Do understand. It is much more difficult to train the dog to take over for the handler's physical limitations. Teaching a dog to do agility with the handler close by and fully physically functioning is not nearly as difficult as training a dog to do the same job with far less information coming from a distant handler, but it is still possible. People with physical limitations may not be the best athletic handlers, but we can be better dog trainers. One danger I'm seeing in agility today is the emphasis on athletic handling systems. 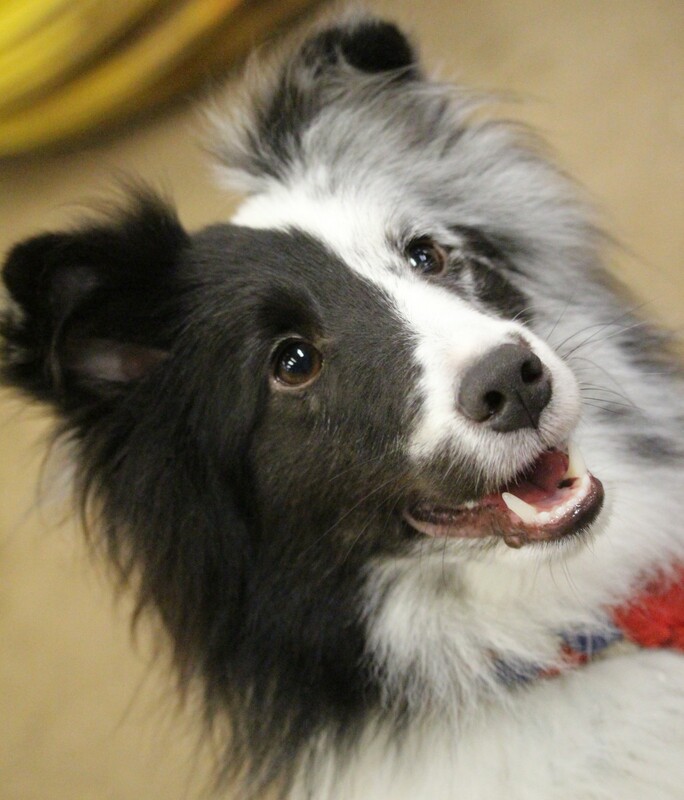 A handling system is simply a consistent way of communicating to the dog while running agility. Some systems involve the handler doing lots of running while other systems rely on distance handling and less physical ability from the handler. While it's great to learn from the fast, running athletes at the top of our sport if you have physical limitations, you should seek out seminar instructors and trainers who can teach you how to incorporate new, exciting moves into your system based on your limitations. Don't feel frustrated because an instructor or a high level competitor tells you that you must train, run and handle with athleticism. It's simply not true. Remember, especially when dealing with physical limitations, every single competitor's training and handling system should be individualized to the strengths and weaknesses of the team. The canine partner should be trained to overcome the handler's weaknesses, and the handler should learn how to handle to overcome his/her weaknesses and emphasize his/her strengths. Local instructors need to learn how to implement strategies to help their students learn these skills, and students need to learn how to filter information from our best and most athletic handlers into their own training and still have a system that deals with their physical limitations. Don't get discouraged because someone says you can't do agility. Find a trainer who says you can, and then helps you find the tools to do it. The "only athletes matter" attitude I'm seeing from a few in the sport today will only serve to hurt agility in the long run. Those attitudes are not only untrue, but hurtful and discriminatory. 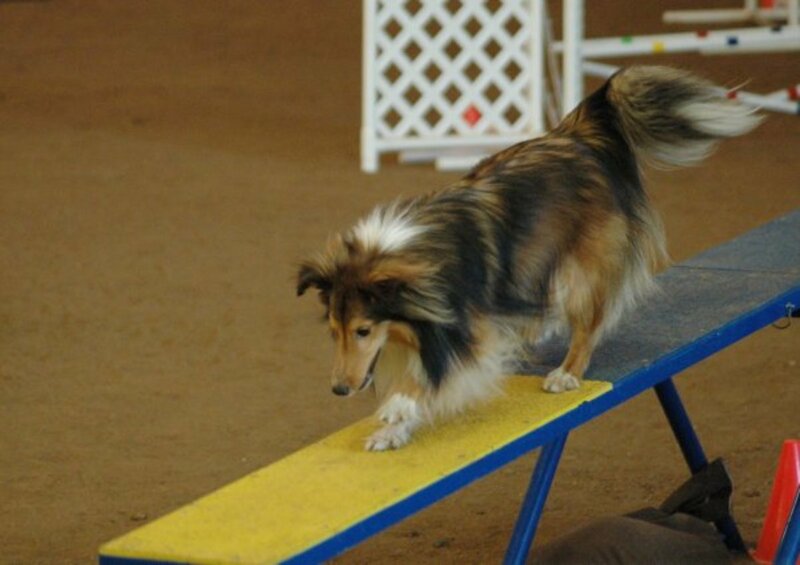 There should be no "cookie cutter" handling system in agility, and any instructor saying that their way is the right and only way needs to be carefully scrutinized. In addition to an individualized handling system, a disabled handler needs to do what is necessary to improve his or her physical condition. If a handler cannot run due to weight, a lifestyle change toward food and exercise might be needed. If a handler cannot run due to arthritis, a visit with a physician to learn how to manage the pain and learn exercises to help strengthen the body is in order. Almost every disability can improve with an honest, open discussion with your physicians, improved education and dedication to exercise and lifestyle changes. Take a moment and compare the video just above with the video at the top of the article and the one below. The comparison will show the different handling "systems" of a very athletic competitor with the system of a physically limited competitor. In the video at the top of the article, you can see the handler (OK, it's the author!) has taken the extra time to train distance skills to her dog. This allows the dog to feel comfortable running at his speed without being tied to his handler's trot, making the team more competitive. The handler does not need to be up at each obstacle for the dog to know where to go next. In the video below, you can see the same team using the skill of stopping the dog at the bottom of the contacts (ie. big, wooden obstacles) to allow the slow handler to get into correct position for the rest of the course. This skill, combined with distance and tight work, allows the team to run clean. In the video just above, you can see this handler running directly with her dog, giving information right next to the dog. This is an excellent system for this athletic, talented team. This type of athletic running system is also what is usually seen performed by agility's top teams, but it is not the only way to successfully compete in agility. Paying attention only to the sport's best athletes and ignoring those inspirational handlers at the local level can cause physically limited and handicapped people to feel it impossible to become involved in agility. These people will then miss out on important health benefits for themselves. 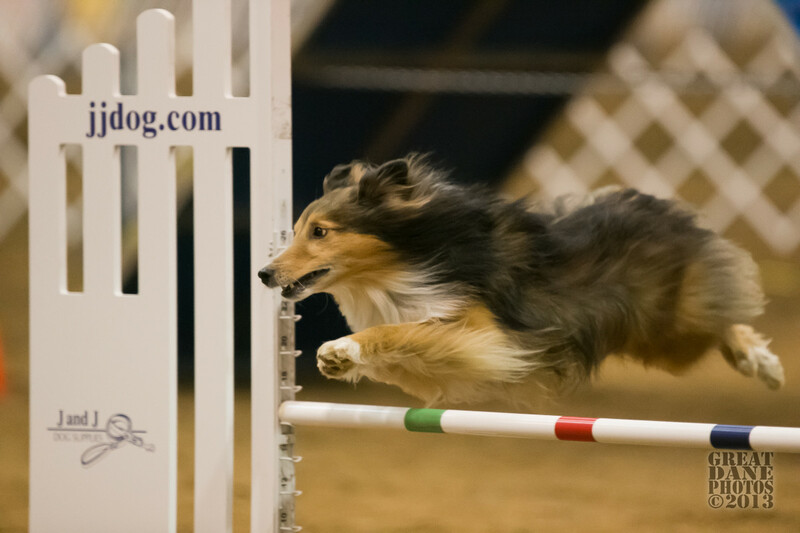 Agility offers competitors the wonderful benefits of being involved in a sport: physical exercise, mental stimulation, friends, emotional support, and a better relationship with their dogs. Studies have shown every one of these benefits is important to longer, happier lives, and it does the same for the dogs, too!! 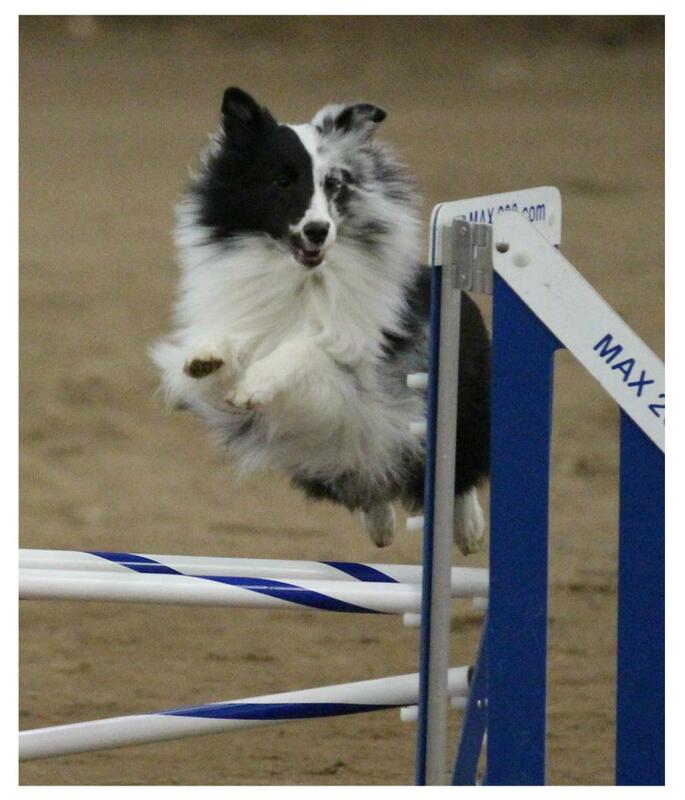 If you are handicapped or physically limited and want to get into agility, by all means DO!!! 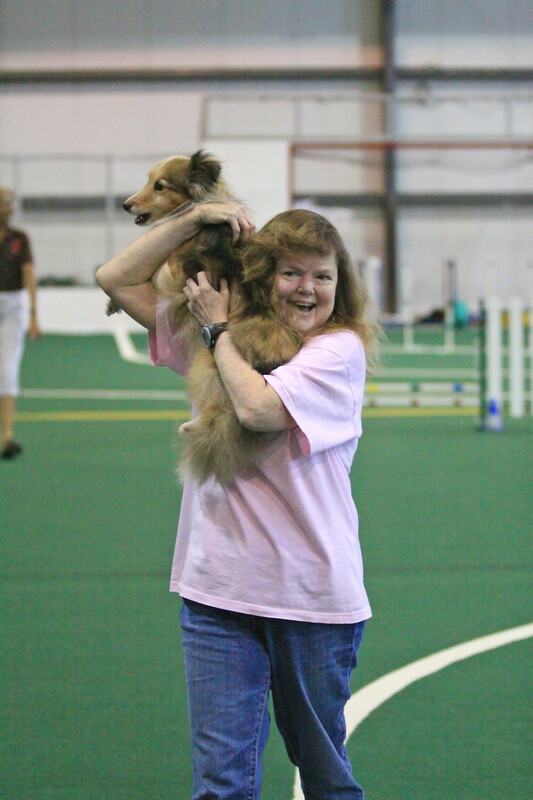 Find an instructor who can teach you how to train your dog to take over where your limitations leave off. This training may include strong stopped contacts, independent contact performance, huge distance up to 30 - 50 feet, stricter directional cues, and more. 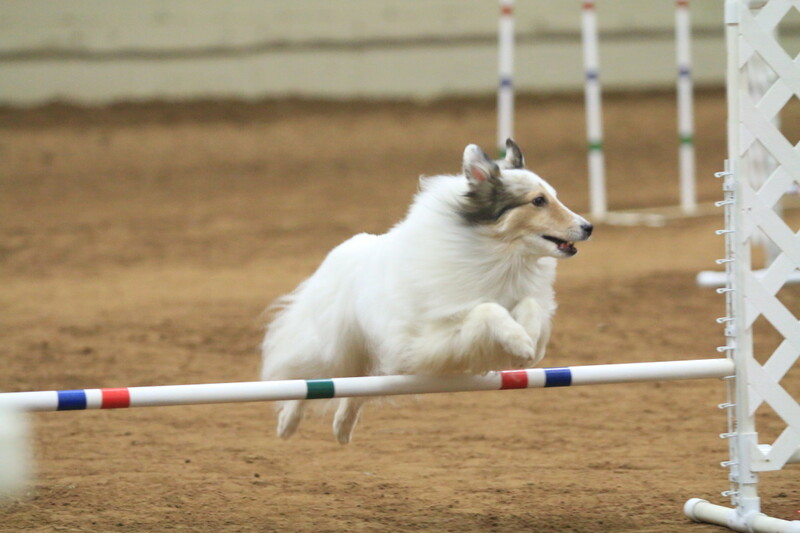 What you may not realize when visiting a local agility trial is that just about every team participating is competing against the course and some other physical obstacle seen or unseen. What separates them from those who sit on the sidelines and don't participate is that they decided their physical mountain was climbable. You no longer need to be on the outside looking in. If they can climb their physical mountain, you can climb yours. The only reason I so willingly share my health history with others is because I am eager for people to understand that organ donation works. In the United States alone, 6,500 people die on transplant waiting lists every year. I've had nearly 40 extra years of life thanks to two people who were willing to tell their families that if the worst happened, they wanted their organs donated. These people and their families are my heroes. Talk with your family today about your wishes to donate your organs if the unthinkable happens. 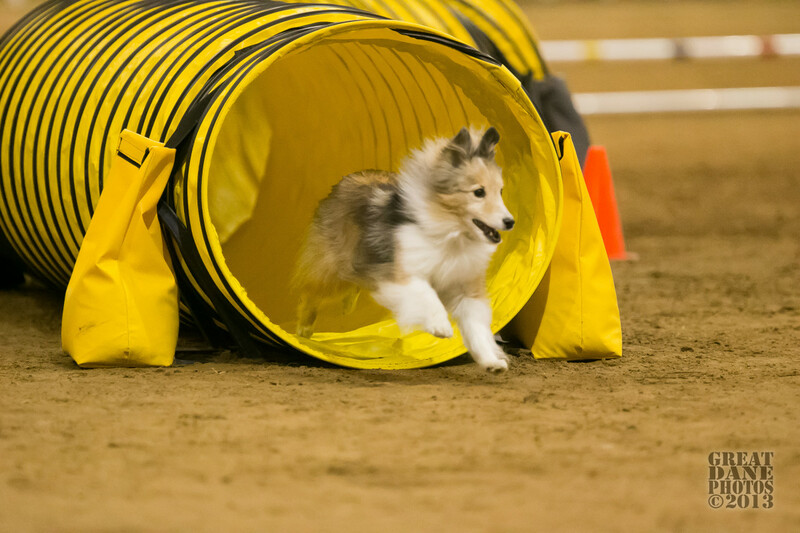 If you'd like to learn more about agility and how to find a trainer near you, check out these articles by Agilitymach. 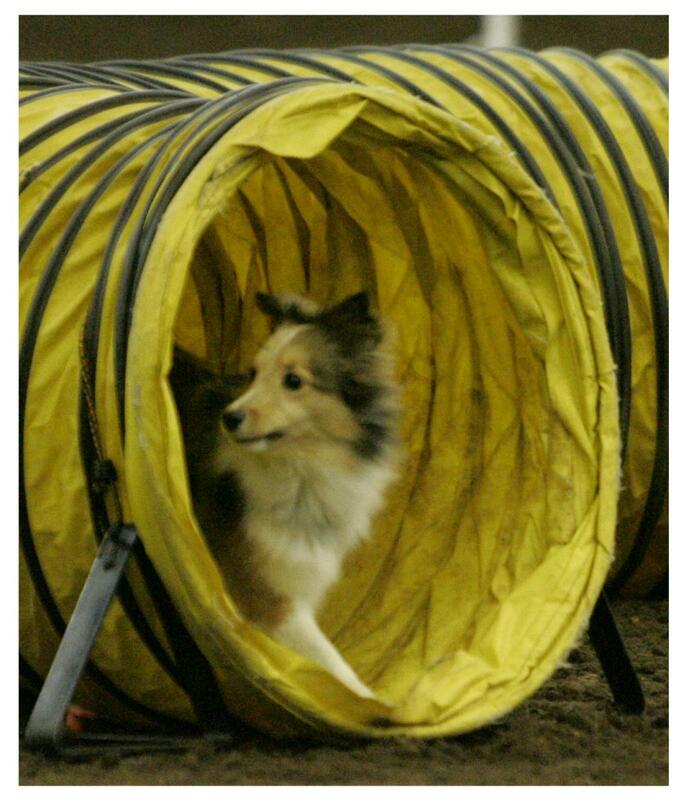 "What is Dog Agility: Agility Information for Newbies"
"Find the Perfect Agility Training Classes for You and Your Dog: Tips for Locating an Agility Instructor" - This article was given a "Hub of the Day" award by Hubpages. 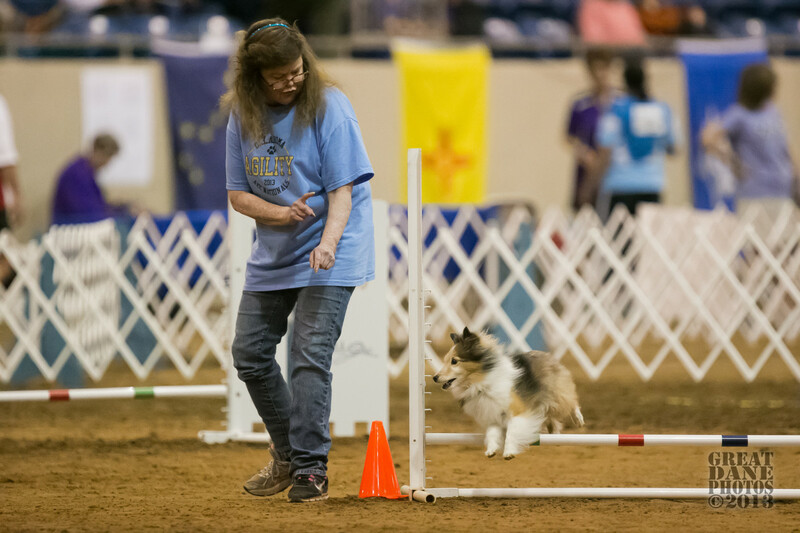 "Agility Dreams: Achieving the AKC's MACH Agility Championship Title"
"Deciphering AKC Agility Titles: What to the Letters After a Dog's Name Mean?" What a great story. I wish I could watch you and your dogs run. I appreciate you taking the time to comment and share your inspirational journey with us. Here's to your goals, dreams and what's to come!! Thank you for this article. One of the things I most love about agility is its all-inclusiveness. I started competing in agility in 2001 after an MS diagnosis but prior to disability. I could run although not fast. Now, I shuffle along behind my walker unable to even give a sustained arm signal. Yet my dogs are competent, and we are having fun. The most important thing in agility is desire. If you and your dog want to play, then play. You may have to make adaptations, but you can still do it. I'll never again be highly competitive (as I once was) but I can still participate, can still train with goals, can still dream of what's to come. Your article is really inspiring, I am a multiple sclerosis patient and enjoy agility but wasn't sure if competitions will be right for me because my trainer was more focus in running next to your dog and I could not do that, but now that I know that there are other options I am open to a new experience, thank you! Yay for you bat115!! There's no reason our disabilities need to slow us down. Thanks for dropping by. This is a very inspirational hub. Nice to hear about others like me who do not let their disabilty stop them. Thanks for dropping by and commenting, Ann. As a disabled handler, I run into the "you must run" handling doctrine a lot. I've seen promising teams leave the sport because of it. I'm glad your area of the agility world doesn't have that issue. Perhaps you do a lot of NADAC? They would not be pushing the International style of handling, which is a lot of run, run, run. NADAC would be about distance. Thanks for coming in, reading and commenting!! Humm... I've never seen or heard this "athletic handling only" doctrine being pushed anywhere. In fact the most impressive and skilled teams are regarded as the ones that have to do the least work on course while still having a fast, clean dog. I think this article has it backwards. Either way I liked the article. You are very welcome at anytime. Keep up the good work. I love dogs and I love your hub, great job! How wonderful. Looking at the videos I have seen, I would never have guess a thing about disabilities. Best to you and your furry friends. Absolutely wonderful and encouraging. Thank you AMFredenburg!!! Thanks for dropping by and for leaving kind words on my forum post. I appreciate your time. I'm hopeful others who feel they can't do agility because of some limitation will now join the ranks. This is very inspiring! I admire your courage and determination in living a full life despite some very difficult obstacles. All my best! No problem! And thanks for the comment on my hub. It feels great to know I have some friends on here! Oh, thank you so much neilcook!! I so appreciate your comments. :) I think I'm going to let it sit a few days, re-edit it and then release it on my FB fanpage, but your comment makes me feel much, much better. Thanks for your time. Wow, I saw your thread and I wasn't sure what to expect, but man this is good! I mean, it looks great, sounds great and has a lot of great information. Keep it up! Thank you for your comments Suhail!!! I had to look up "In Media Res" to see what it was. :) It is a fun technique, and now I know it's name. I appreciate your comments very much. It makes me feel better about this hub. A very informative and a beautiful hub. You almost employed 'In Media Res' technique of writing, which I tend to do too. Very nicely written, The videos and pictures went along with the central message very well indeed.